LIVINGSTONE: Ministers of the United Church of Zambia broke off from their daily pastoral duties for a moment of reflection in Livingstone on the theme: “Shared holistic mission for effective ministry to the glory of God”. 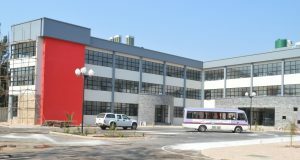 The Symposium was held at Livingstone Institute of Business and Engineering Studies (LIBES) from 24th – 27th August 2014. The Symposium drew participants from all the ten (10) Presbyteries (both retired ministers and those still in active service). The participants started arriving on Sunday, 24th August 2014. The Symposium commenced on Monday, 25th August 2014 with the official opening done by the Synod Bishop of the United Church of Zambia, the Right Rev Mutale Mulumbwa. Among the speakers were: The Rev Bishop Dr Alfred Kalembo from the Pilgrim Wesleyan Methodist Church, Rev Dr Musonda Bwalya, the dean for Copperstone University College, Rev Akafekwa, Rev Mary P. Mpingu, Rev M.C. Musaba, Dr Alex Simwanza and many others. 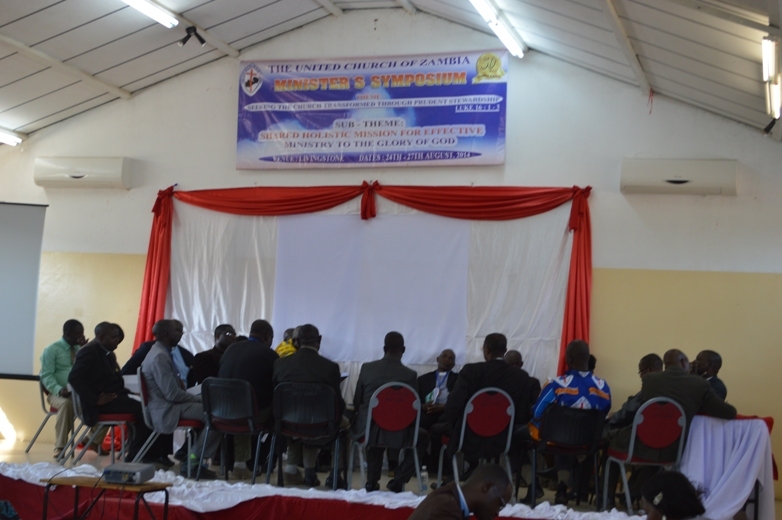 The Symposium looked at various topics including doing mission in the Empire regime: a context for mission and ministry in Zambia today; Rural ministry: Shared vision of the church, challenges and opportunities and a presentation on the Mid-Term review of the Strategic plan critical issues. These presentations were punctuated by group discussions; plenary sessions; worship and reflective moments inclined to listening to what God was saying. 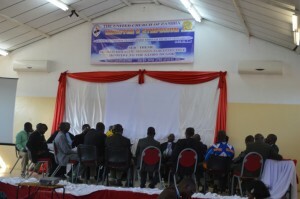 Ministers’ Symposium – LIBES College, Livingstone. 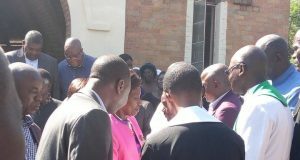 During the same gathering it was reported that the Rev Imbunda Kakoma had been taken ill and was admitted in Livingstone Hospital. As the Symposium came to an end it was resolved that the next Symposium be held in 2017. 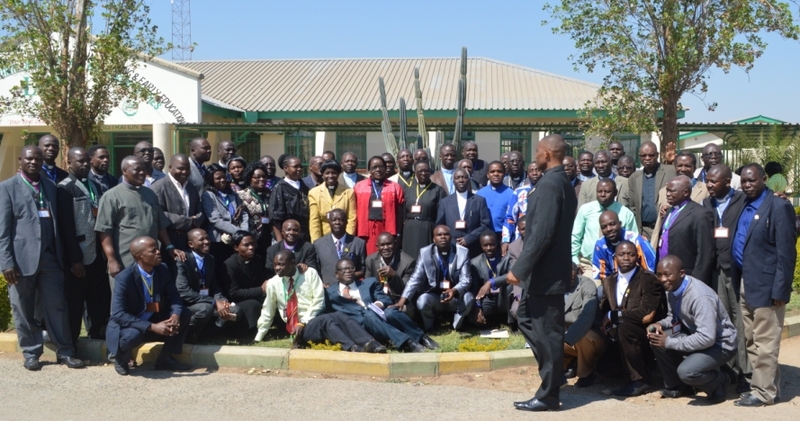 The symposium provided a forum where UCZ ministers who were scattered all over the rural and urban areas of Zambia were privileged once again to reunite and share their experiences. Jesus Christ is Lord and Saviour of the Church to whom we pledge our obedience and accept Him as our role model in character, servanthood, leadership, humility, love, compassion and integrity. Our Church shall be vision driven as manifested in the ministry of the Lord Jesus Christ based on principles of holistic ministry, transformation, people-centeredness, transparency and accountability. Our mission shall be guided by values of love, respect, unity commitment, inclusiveness, probity and trustworthiness, in order to enhance spirituality and efficiency. Our commitment to a life of fellowship, equality, togetherness and a shared ministry in practical; and spiritual terms”. 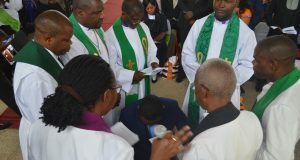 The LIBES declaration was sealed with the celebration of Holy Communion administered by the former Lusaka Presbytery Bishop Rev Jose Antonio. Next: Emmah Mankishi Mukokwe – District Commissioner encourages Mufumbwe UCZ Congregation to be soul winners.